About a month ago I received an email from the Chamber of Commerce of Forest Lake. It was an invitation to vote online via a survey that went out to over 200 members. 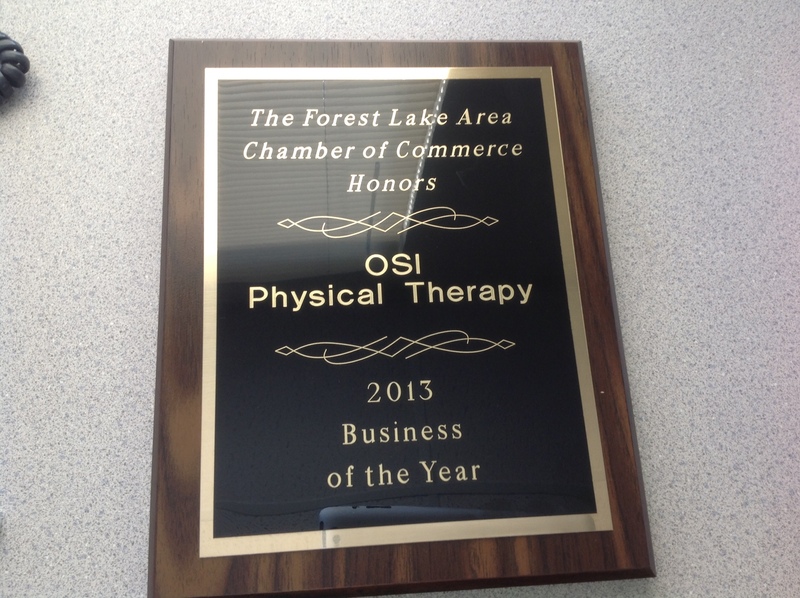 When I opened the email I was shocked to see our Forest Lake Team at OSI was nominated for Business of the Year. It mentioned that we were very active in the chamber and have been for over 15 yrs. We have been on many committees and included that I am on the Chamber Board. 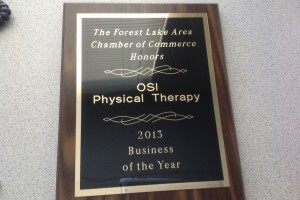 OSI has been in Forest Lake for almost 20 yrs. and always try to be active in the community. The winners were to be announced at the Annual Membership meeting. Even though I couldn’t attend, I had one of my staff members go and I anxiously waited to hear if we had won. And indeed the email came from Pete Larson that we had been chosen as the 2013 Business of the Year. I am very proud of winning prestigious award. I warmly invite you to come in and take a tour of our facility. I love meeting new members of our community. You can reach email me at tkasprowicz@osipt.com.